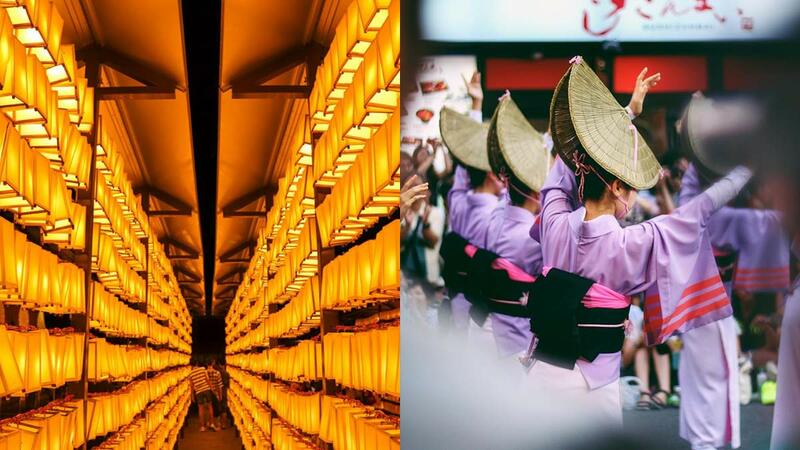 Participate in one of Tokyo’s more romantic summer festivals. Light a lantern, make a wish, and send it down Sumida River. It’s quite a sight to behold. What’s festival food if it’s not on a stick? Grilled chicken on a stick is a light and easy snack that’s perfect for matsuri season. Pair grilled squid on a stick with ice-cold beer. This buckwheat batter ball with grilled octopus in its center is one of the most ubiquitous yatai fare. Walking through the streets and wading through a festival crowd can work up an appetite. If you’re looking for something more substantial to munch on, an okonomiyaki will hit the spot. Candied apple (ringo ame) and strawberries (ichigo ame) will satisfy any sweet tooth. A traveling bibliophile’s dream lodging. If you’ve ever wondered what it’s like to spend the night in a library, this cozy hostel is for you. It doesn’t get more Japanese than this hotel, where you’re checked in by a robot dinosaur at the front desk, and in lieu of a room key, your face is digitally scanned upon check in so that you can access your room just with, well, your face! This hostel is a modern lodging that provides a traditional Japanese inn experience, a wonderful juxtaposition of old and new. The perfect place for you and your girl squad, this place will make you feel like you’re staying in your very own apartment in Tokyo. It comes with a kitchenette, en-suite bathrooms, and even a common laundry area. Tokyo’s original boutique hotel is big on design. No surprise as it is located in Tokyo’s design district. The rooms have modern Japanese flair—tatami mats and Japanese pebble floor cushions—and there’s a rooftop with a magnificent view of the city. Now that your Tokyo must-do list is ready, make the most of your VLs and book a trip to Japan right here!